Remember that kid’s song “All I Want for Christmas is My Two Front Teeth”? The kid singing was always cute and had a lisp because his teeth were missing. Well, if you have missing teeth as an adult, it isn’t really that cute. It makes you self-conscious, it makes it harder to enjoy your favorite foods, and missing teeth can affect your bone, jaw and dental health for years to come. Missing teeth is a common occurrence in adulthood with the American College of Prosthodontists estimating that at least 120 million Americans have lost at least one tooth during adulthood. The good news is your self-confidence can be restored this holiday season by choosing to replace missing or damaged teeth. Modern dental technology offers a number of ways to replace missing teeth, so there is a way to get your holiday smile back. There are a number of reasons an individual loses a tooth. Tooth loss could be a result of a serious injury. 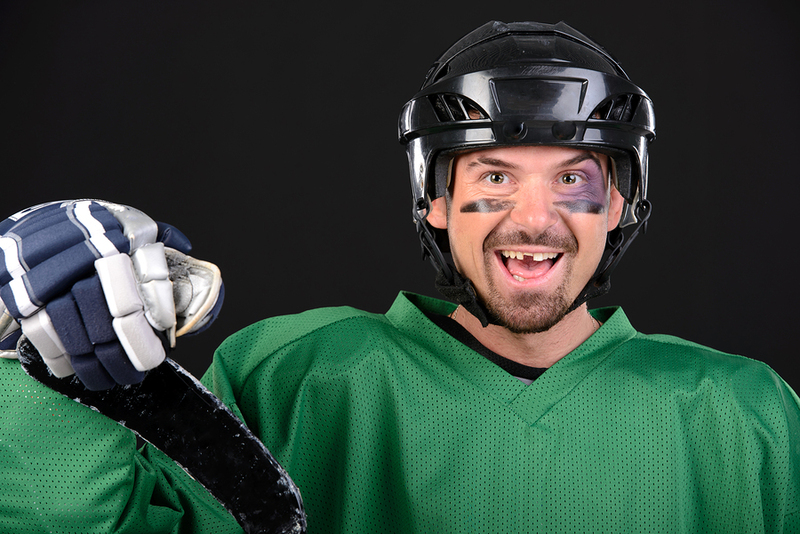 Any form of trauma, such as a car accident or sports injury, could knock one or more teeth out of your mouth. Tooth decay that is not managed through regular dental care can also cause a tooth to fall out. As the decay spreads to the root of the tooth, the tooth may need to be pulled or fall out on its own accord. 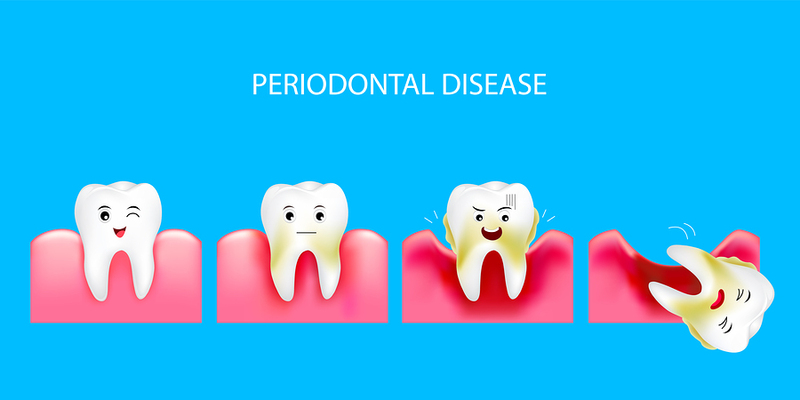 Gum disease, or periodontal disease, is a leading cause of tooth loss, as well as being related to other health problems, including heart disease. Bacteria build up around the gums, infecting the surrounding area. As the infected gums start to recede, tooth loss is imminent. This is one reason dentists encourage daily flossing as well as regular cleanings and checkups that help you keep your gums healthy. A number of pre-existing medical conditions could put a patient at risk for tooth loss. For instance, patients with diabetes, high blood pressure, and certain forms of arthritis are more likely to experience tooth loss. When you have missing teeth, you are likely to experience a number of mental and physical effects. You could feel shy over your smile and may have an overall dissatisfaction about your appearance. During a 2015 oral health study, 58 percent of participants with tooth loss felt it had a negative effect on their social lives and self-esteem. They were also more prone to bouts of depression. When you have tooth loss, you may withdraw from social events due to embarrassment over your appearance. Missing teeth lead to health complications as well. The bones in the jaw where the teeth are missing have the potential to atrophy since they are no longer being stimulated through the act of chewing. The tissue in the jawbone will dissolve continuously until the tooth is restored. The shrinking of the jawbone causes evident facial sagging. Another issue is remaining teeth in the mouth may move when a tooth is missing and create gaps between teeth. Consequently, the drifting teeth put you at risk for gum disease and further tooth loss. Also, eating certain foods can become a challenge when you are missing teeth. Meats, raw vegetables, and nuts are difficult to chew when you are missing a number of teeth, and without these items in your diet, there’s a risk for malnutrition. Dental Bridges: Dental bridges are fixed appliances that permanently replace missing teeth in the mouth. A bridge uses two anchor teeth to cement the artificial teeth in place. Even if the anchor teeth are perfectly healthy, they must be cut down as a way to connect the teeth together. Porcelain crowns need to go over the cut teeth as a way to fix the bridge in place. Typically, bridges will have two or more artificial teeth set between the two porcelain crowns. Dentures: Unlike bridges, dentures are a removable option for tooth replacement. Dentures feature a plate that holds artificial teeth and will suction to the gums to stay in place. Dentures are used to replace all teeth on the upper or lower jaw. In comparison, partial dentures are used when you still have some natural teeth. They leave spaces on the plate to accommodate the remaining healthy teeth. Dental Veneers: Dental veneers are an option for damaged teeth that have yet to be pulled. Teeth that have been worn down, broken, or chipped could be cosmetically repaired with veneers. Veneers are traditionally made from porcelain and colored to match surrounding teeth. They are very thin and fit like a shell over the damaged tooth. Veneers will be permanently bonded to the teeth. Dental Implants: Dental implants are the preferred option for tooth restoration because the procedure replaces both the crown and root, creating a stable, permanent replacement of your natural teeth. A post is embedded into the jawbone to act as a new root and once the bone has healed, a ceramic or porcelain crown is attached. No surrounding teeth are impacted by a dental implant procedure. Today’s dental implants are the best, long-term solution to tooth loss. Dental implants have the appearance of real teeth and function in the same exact manner. 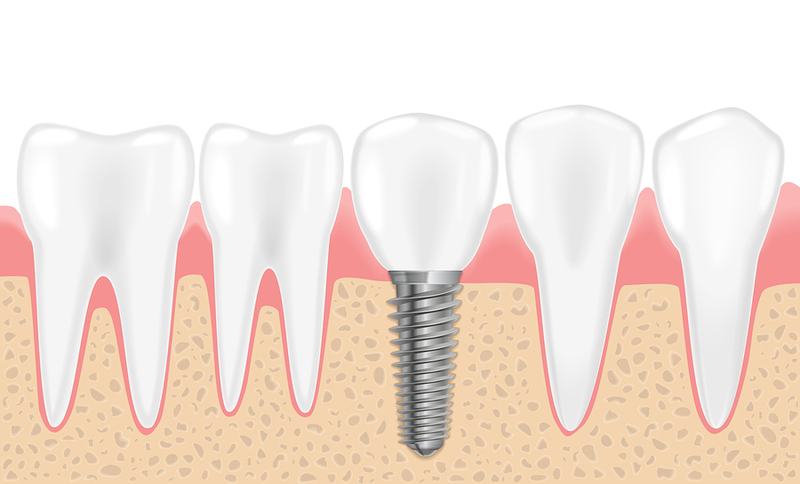 Once in place, dental implants feel like your own teeth. You’ll enjoy a healthy smile and won’t have to worry about your face changing shape due to bone loss. 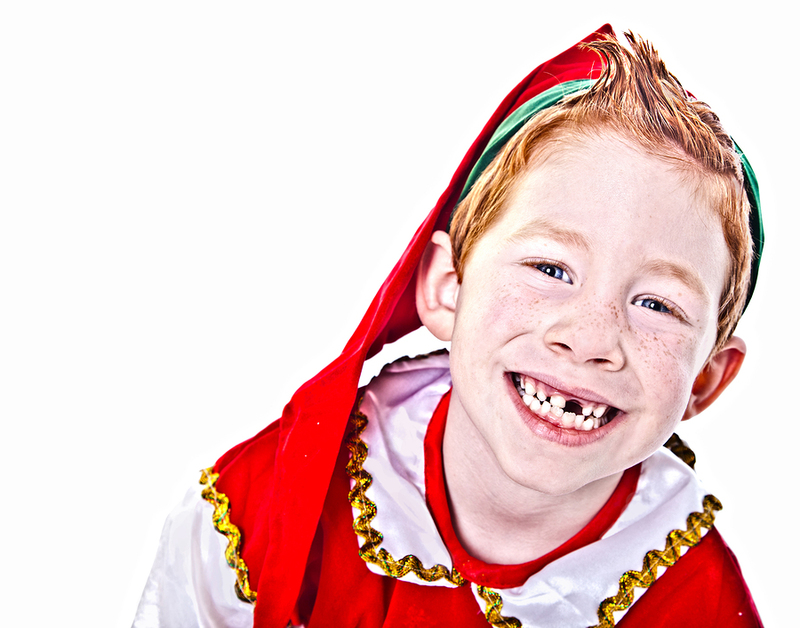 And, you’ll never cringe when you hear the song “All I Want for Christmas is My Two Front Teeth” again. Jesus Medina, DDS in Las Vegas offers dental care, including dental implants, to patients in Las Vegas, North Las Vegas and Henderson in his Las Vegas dental office conveniently located off I-95 and Rainbow in Las Vegas. Contact Dr. Medina today at 702-368-3627 to schedule an appointment. In the past, people associated braces with high orthodontist bills, complaining teenagers and uncomfortable braces worn sometimes for years. Braces were a rite of passage for many young people who could afford them. Other people who wanted to fix their smile and improve their health sometimes couldn’t afford braces, or didn’t feel they could justify the expense because their teeth didn’t seem so bad. They grew up and resigned themselves to less than perfect smile and higher dental bills later in life. But times have changed, and braces are faster, easier and available to more people than ever before. 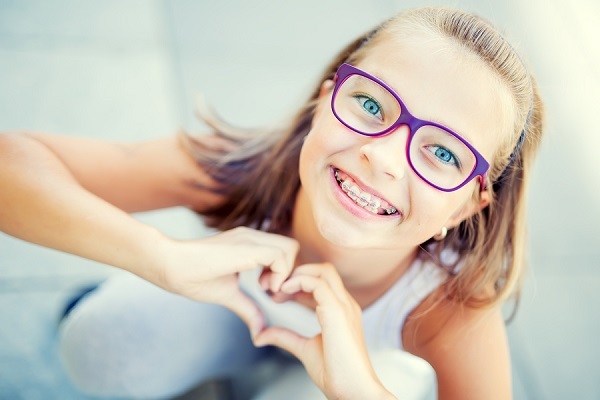 Children and adults are finding out that braces don’t have to change your lifestyle, but they may change your life. You may think you look fine without braces, and you’re probably right. But even people who are already considered attractive find value in getting braces. Today, even celebrities wear braces proudly, and not just in private. They sport fashionable braces at award shows and other venues where they are sure to get noticed. Superstar Beyoncé showed off her braces to the world, looking as gorgeous as ever. Faye Dunaway straightened her teeth at 61. And, country singer Faith Hill sported braces at The Grammy Awards. Forty-five years old, she says she forgot to wear her retainer. As a matter of fact, lots of celebrities, young and old, have worn braces. They know that teeth are the key to a beautiful and healthy smile that will last for many years. Appearance–Your smile is your greatest asset, and your appearance will be remarkably improved when your teeth are straight and beautiful. And, people with straight teeth are perceived to be more successful, giving them an advantage for better job and other opportunities. Health–Of course, when your teeth aren’t aligned they can build up hard-to-reach plaque, which leads to tooth decay and gum disease. Not everyone realizes that misaligned teeth can result in headaches, earaches and even cardiovascular problems. Self-esteem–Just knowing you’re more attractive can give you that extra self-confidence you need to be more self-assured in everyday life. People with high levels of self-confidence enjoy more success and happiness. Longevity– Healthy teeth and gums may help you to live longer. Studies show that people who floss daily live on average 7 years longer than those who don’t. Also, people with gum disease are significantly more likely to suffer coronary artery disease. Prevent breakage–Teeth that are misaligned may apply uneven pressure during chewing, resulting in chipping or cracking. Crooked teeth may also simply wear down over time. Easy to clean–Once your teeth line up, you will no longer have places which are almost impossible to reach while brushing and flossing. This ease in cleaning will give you more motivation to take care of your teeth. Dr. Medina can help you get straight teeth with several options. He can keep you smiling with Invisalign braces, which are clear, comfortable and removable metal-free braces made specifically for you. These are great for appearance-conscious teens or adults, or anyone who wants the convenience of removing the aligners for meals or outings. And, now Dr. Medina also provides a quick and easy teeth-straightening solution with FASTBRACES®. Fast, affordable and comfortable, FASTBRACES® uses a new technology with patented triangular brackets. The original FASTBRACES® Standard Metal™ is a popular, affordable alternative to traditional braces. Or you can choose FASTBRACES® Ceramic Clear™ which are more aesthetically pleasing because they are almost transparent. For those who qualify, there’s FASTBRACES®TURBO™ which can finish the process in as little as 120 days. Dr. Medina can help you determine the best dental braces choice for you. Dr. Medina offers cosmetic, restorative and preventive dentistry in Las Vegas, Nevada. With nearly 30 years experience, he welcomes both adults and children to his practice for the comprehensive care of teeth and gums. Contact Dr. Medina for more information on FASTBRACES®, Invisalign or other dental services. http://www.drjesusmedinajrdds.com/wp-content/uploads/2017/08/dental-braces-can-change-your-smile.jpg 533 800 Dr. Jesus Medina Jr., DDS http://www.drjesusmedinajrdds.com/wp-content/uploads/2018/03/logo-Medina2.png Dr. Jesus Medina Jr., DDS2017-08-21 05:35:382019-03-06 23:05:20Why Should I get Dental Braces? Ever wonder why your teeth aren’t perfect, no matter how often you brush? When it comes to oral hygiene, it’s the little things that count. Brushing may be the most common form of cleaning, but it’s not the only one. Jesus Medina Jr., DDS of Las Vegas offers some tips for maintaining your smile, even when you’re on the go. There are more than toothbrushes in the dental care aisle of your grocery store; it takes an arsenal of tooth cleaning tools to keep your smile shining. 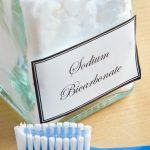 Toothbrushes, including electric ones, obviously only work with toothpaste, and we recommend any brand that uses baking soda for maximum freshness. Toothpaste only covers where you can reach with your brush, however. For getting those hard to reach places behind your molars and between your teeth, close to the gums, dental floss is essential. Flossing whenever you brush is one of the best ways to brush (hah!) up on your dental hygiene. After brushing, take a piece of floss between your fingers about an inch long (or just use one of the convenient disposable floss-picks that many stores now sell), and work it between each and every tooth to remove any deeply-wedged food particles. Flossing correctly can reduce your risk of tooth decay by 35% on its own! Not feeling 100% clean yet? Mouthwash covers the rest of those hard-to-reach places, deep-cleaning your mouth and tongue and helping to freshen your breath. Dentists recommend the anti-plaque or anti-bacterial varieties, and Dr. Medina does as well. These ones have several additives that will not only keep your mouth minty-fresh, but will also fight plaque at the same time. Lastly, don’t forget whitening strips, those thing minty films that you place on your teeth, and they melt away after a few minutes. These can help clean your teeth away from home, in between meals when brushing isn’t an option, and also help keep your breath fresh. These will help passively whiten your teeth, giving you a fresh smile over time in between brushings. Jesus Medina Jr., DDS, hopes these helpful hints will encourage you to keep your teeth extra-clean in between visits. 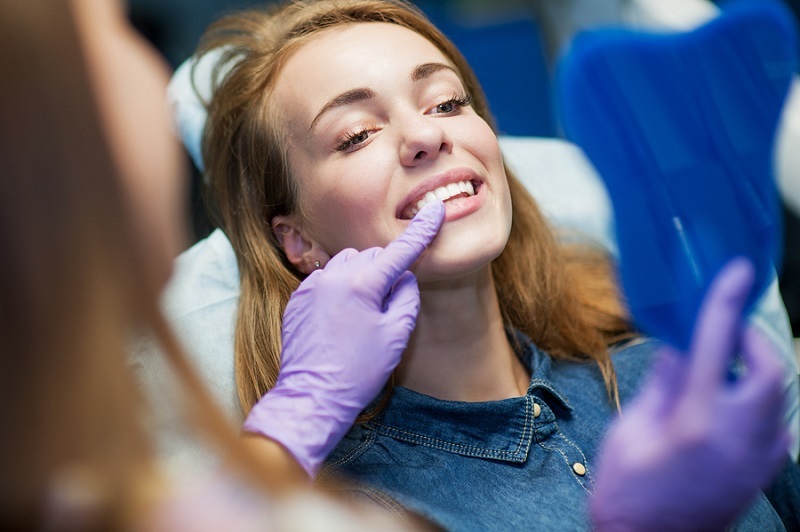 Maintaining a healthy mouth is a good start for improving your smile, and for everything else we offer a wide range of dental services– general, cosmetic, and restorative procedures should your teeth need that extra boost. 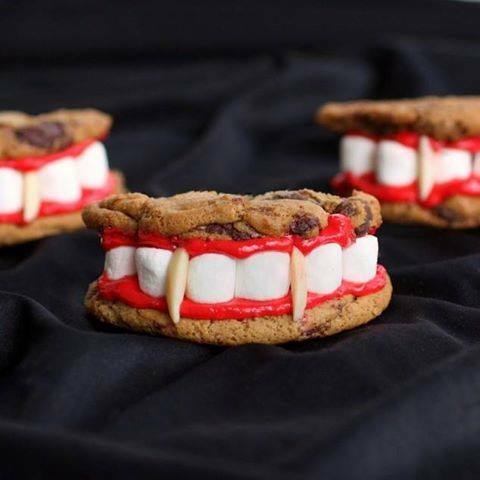 Halloween is the time of year for ghosts and goblins….and the day after for toothaches and sugar crashes. Parents know all too well that kids never obey the “just one piece tonight” rule when they’ve got a whole pile of trick r’ treats in front of them, and all that sugar leads to rotten teeth and cavities galore. Enter Jesus Medina Jr., DDS, Las Vegas’ premier general dentist, specializing in cleanings and preventative treatment. 1. Get out of a sticky situation- keep your kids away from taffy, lollipops, caramel, and gummy candies. These take much longer to chew and swallow, and the more time spent in contact with teeth, the more time sugar has to wear down enamel and do real damage. Sort your kids’ candy, to take out these sticky gummer-uppers, and save your children the toothache this Halloween. 2. Go sugar free. Sugar free gum and other candies are a valid substitute for the sweet stuff, and much healthier both for your diet and on your teeth. No sugar means no tooth decay, which can help keep your kids smiling and pain-free. In fact, low-calorie sweeteners like Xylitol and Sorbitol, both found in sugar-free gums and candies, can be beneficial to oral health, starving the destructive bacteria that cause gingivitis and helping to restore the whitening minerals in your teeth naturally. 3. Always in moderation, don’t overdo it on candy, or let your kids stuff themselves full. Tummy aches from a sugar overdose are a short-term result of a Halloween night “well spent,” but long term tooth decay, gingivitis, and sore gums can become a real problem following a candy binge. While kids may not always obey the usual “okay, you can each have one piece before bed” rule, parents would be wise to limit access to candy. Store the Halloween haul in a cookie jar atop the fridge, or in a hard-to-reach cabinet, and offer up a piece as desert following dinner, or as a reward for getting homework done, to ensure that while your children get to enjoy their trick-or-treating treasures, they don’t overdo it. 4. Balance out the healthy and unhealthy. Kids may not want to eat their veggies, but a healthy meal to balance out unhealthy sugar and snacks is essential not only to basic diet, but dental health as well. Limit kids to one piece of candy after dinner or as a snack, and make sure they brush and floss thoroughly after. A dental check-up is just what the doctor ordered for many families just after Halloween. Make sure you and your children aren’t one of them by following these easy steps to avoid cavities and tooth decay. If you’re still worried about the potential damage from sugary snacks, schedule an appointment with Jesus Medina Jr., DDS this month before the holiday, and make sure your costume is spookier than your smile. Call (702)368-3627 today to schedule an appointment. It’s no secret that dental work can be expensive and time consuming, so much so that many people put off having necessary dental work done in order to save money. Dr. Jesus Medina Jr., DDS looks to help you save your money by offering these tips for keeping your teeth clean outside of the dental office…all by just eating the right foods! 1. 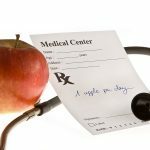 An apple a day really does keep the doctor away. Apples act like a natural toothbrush, the juices and fibers cleaning excess bacteria and food from your mouth. Eating apples regularly can help to keep your mouth clean and healthy, as apples produce malic acid, a component used in many teeth whitening products, which naturally scrubs away surface stains on your teeth. The natural crunchiness of apples and related fruit also contribute, working to scrub teeth clean as they are bitten into somewhat like the fibrous bristles of a toothbrush. 2. Citrus fruits like oranges or pineapples are beneficial to your teeth as well. Citric acid causes your mouth to produce more saliva, which is your body’s natural tooth cleaner. 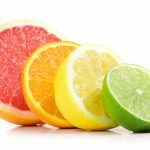 Be careful not to overdo it though, as citrus fruit is also highly acidic, and too much acidity can damage the enamel of your teeth. 3. There’s a reason for Arm & Hammer toothpaste- baking soda has been a home remedy for tooth whitening for a long time. A 2008 study found that toothpastes containing baking soda- like the famous Arm & Hammer brand- substantially help remove plaque and tartar buildup on teeth. 4. 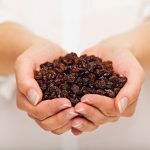 Raisins, just like citrus fruit, can help induce the production of saliva in your mouth, which helps to naturally rinse plaque and food particles away. This also helps to reinforce the enamel of your teeth and protect them from erosion. 5. While they may be juicy and stain your teeth red at first bite, Strawberries are in fact very good for your smile. Malic acid, similar to that in apples, works naturally to clean your teeth of discoloration. Although brushing and flossing are of course the most important parts of keeping your teeth healthy, eating the right foods can help too. Highly acidic, discoloring foods that are high in sugar such as soda and coffee can have a permanent effect on your smile. 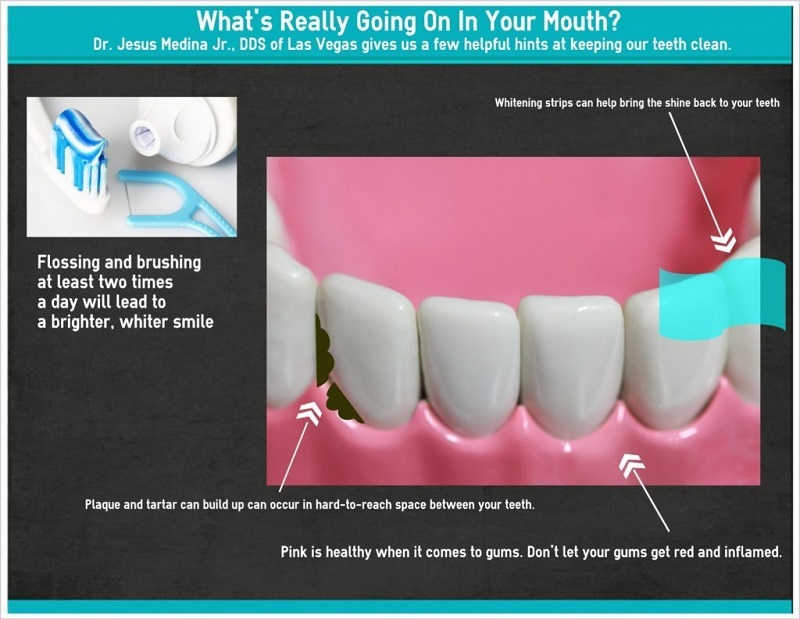 If you fear your teeth are already damaged beyond repair, come in to see Dr. Jesus Medina Jr., DDS, visit www.lasvegascosmeticdental.com today or call (702) 368- 3627 to schedule an appointment. What’s the first question you are asked at a dentist’s appointment? Chances are, it’s something about the frequency of your flossing. Most of us don’t floss enough. However, did you know you could be doing it too much? Flossing is an extremely important part of your oral care routine. It helps to prevent gum disease by keeping your teeth healthy and free of plaque. Proper flossing also “roughs up” your gums and makes them stronger. It is possible to have too much of a good thing, though. Optimal Flossing Frequency: How Much is Too Much? Flossing once a day is all it takes. Bacterial colonies that create plaque take around 24 hours to form completely. Flossing more than once per day has no real benefits unless there is something stuck between your teeth. If you floss more than once per day, it can cause serious damage to the gum tissue. It’s not just how often you floss that causes damage, though. Flossing too vigorously or applying too much pressure on the gums can cause the gums to bleed. Eventually, over-flossing can destroy the gum line. This exposes more of the teeth’s root, which eventually causes decay and cavities. Many overzealous flossers use a saw-like motion in an attempt to get their teeth as clean as possible. This has the potential to wear through the tooth’s enamel and in extreme cases can result in periodontal bone loss. This causes the teeth to become loose and eventually fall out. If you are concerned that your flossing technique is not up to par, ask your dentist to demonstrate at your next office visit.